A new generation of mobile data speed is being brought to market. If you purchased your phone after 2012 – and most people have – then it is likely a 4G enabled device. 4G cellular connectivity offers fast browsing speeds for the mobile internet, capable of showing live streamed video in high resolution. 5G, the new generation of mobile data speed networks are now being deployed around the world. You may be surprised to learn that the first trial of 5G is being undertaken in a shopping center in Australia. Telstra, Australia’s largest phone company, has put in place a 5G test receiver which users can access, over Wifi on the Goal Coast, an Australian seaside town. More broadly, it is expected that the UK, USA and most of Europe will have some 5G coverage by 2020, a footprint which will grow from there. 5G is a bigger step than previous mobile data speed updates have been. Where 4G data provided download capacities in line with a standard DSL/ADSL home fixed broadband connection, 5G offers the equivalent of a home fiber broadband connection. 5G is between 10 and 100 times faster than 4G. However, the benefits of 5G do not end with faster download speeds. 5G networks can support up to 1 million parallel connections and respond to requests in around 1 millisecond, far less than the 200 or so milliseconds a human being takes to realizes it’s waiting. 5G will enable not just a new generation of mobile data, but will underpin the rollout of the Internet Of Things. It could also contribute to the demise of the world’s most powerful Technology brand, Apple. More than two thirds of Apple revenue comes from global sales of it’s most popular product, the iPhone. The components used to make phones are expensive. A standard memory chip can cost $100 at the moment, for larger, (e.g. 128 GB) RAM allocations. Processors, too, are one of the more significant aspects of manufacture – contributing around 10% of the total. Both Chinese manufacturers and Apple pass these costs on to consumers in the sale of their devices. 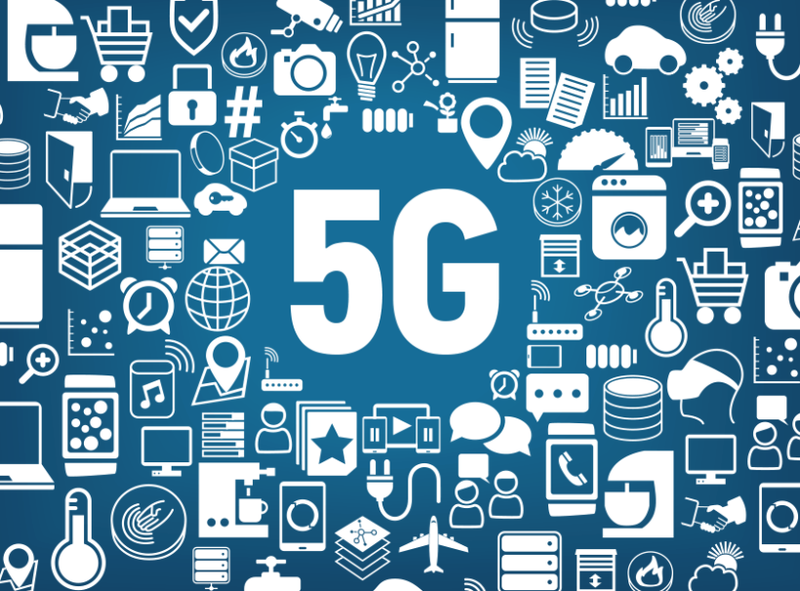 In a world of 5G network capability, however, the components which will be of use in a phone may be substantially cheaper. With near infinite (from a practical point of view) bandwidth, complex calculations can be sent from the phone to the cloud for completion. Equally, there is no need to have an expensive processor on board the handset. Where now, latency delays would make this sort of network transaction prohibitively frustrating, for users, 5G’s 1 millisecond response time will make them much more acceptable. The user won’t even realize what’s changed. Similarly, there is no need to have expensive memory chips held within the chassis of a phone when data can simply be downloaded over the network whenever it is required – without delay. Apple’s iPhone is an example of a product suite which is exclusively focused at the more expensive end of every category in which it competes. 5G is likely to see phone hardware become far more of a commodity product than they are currently. The need for high resolution screens will remain. Phones will still need basic processing power in order to assign the right pixels to the right location on those devices. But future phones may well be substantially cheaper, since they will not require many of the more expensive facilities we currently insert into them. Many types of technology product have been commoditized over the years. When hardware was produced by ‘compatible’ rivals in the 80s, IBM moved in to strategy and consulting services. When PCs and laptops became commoditized, HP bought Compaq to secure the Economies of Scale necessary to stay competitive. That the smartphone comes next, should be no surprise at all. There will always be a section of the market which buy a Ferrari, Gucci or Rolex. High end consumer products serve a valuable niche and offer profitable returns. There are few examples, however, of a premium technology manufacturer operating in a commoditized market and owing more than two thirds of it. When 5G comes along, Chinese manufacturers could, it seems, take a larger piece of the American Apple pie.